I have been watching Japanese cartoon since the days of Ultraman and diligently packed in episodes of Dragonball, Sailormoon and Pokemon. It is strange indeed that I find Japanese anime really entertaining despite not knowing Japanese at all and depending solely on subtitles. 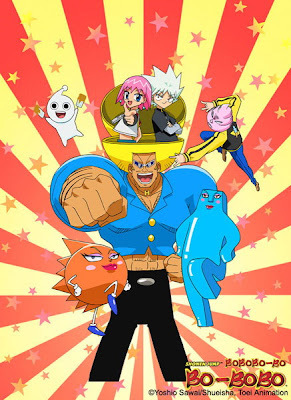 Thanks to Cartoon Network, I have my fair share of Japanese anime, the latest is Bobobo-bo Bo-bobo. If you have watched this afro-haired guy before, you will know how hilarious he can be. Many of my friends who are adults also find it highly entertaining and I am not surprised! 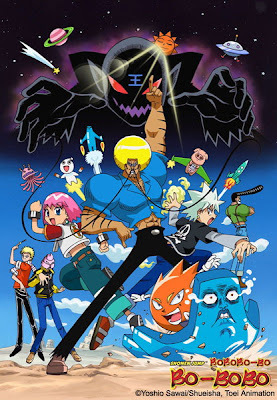 Recently, the DVD release of BoBoBo-Bo BoBoBo was criticized by fans for having English script. Fans wanted the as original as possible, which Japanese subtitles. Illumitoon actually listened to the fans and offered a trade-in program for anyone who wants to exchange their copy of Bobobo-bo Bo-bobo with English subtitles to one with Japanese translated subtitles. For me, I personally prefer one with English subtitles. 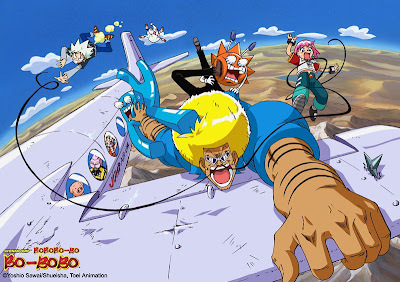 If you are not familiar with BoBoBo-Bo BoBoBo, then you should Check out the Official Website! As a warning though, BoBoBo-Bo BoBoBo’s golden Afro-hairdo will take some getting used to but watch it long enough and you will get to love the guy and his antics. Which Is The Best DVD Player? Who Is Going To Las Vegas?